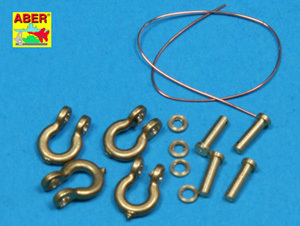 1/35 Russian KV-1 and KV-2 Tank Shackle Kit Discounts Apply ! ABE18 - 1/35 Russian KV-1 and KV-2 Tank Shackle Kit. Add some detail to your Russian tank. Package contains 4 shackles.